How many files do you have on your computer? How many photos do you have on your phone or tablet? If your answer is in the thousands, then you may be considered a digital hoarder of information, and you’re not alone. If I am going to be labeled a hoarder, then I would at least prefer to be a digital hoarder. I love having all of my files at my fingertips any time I need them. I am a huge culprit of holding onto my files, and I am not ashamed to admit it. It may be due to an emotional attachment or a logical one. I can think of many reasons why I would need to retrieve my tax information from a few years ago, or have all of my car maintenance records to jog my memory of when I had replaced the alternator. The efficiency the digital documents create in my office is incredible as well! Having access to a client’s documents when they call saves me an incredible amount of time, which of course leads to increased profits. Then there are the thousands of emails that we keep in our inbox. I won’t even begin to tell you how many of those I have. Whether you are a professional or we are talking about your home environment, you may feel the same emotional or logical attachment to your files. You may have the mentality of not wanting to get rid of something for fear that you may need it for one reason or another. So if you find yourself holding onto files because of an emotional, logical or even a regulatory reason, there are ways to help keep your home or office digitally organized. If you are going to be a digital hoarder, make it easy on yourself when it comes to organizing your files and finding your files. If I were to ask you if your computer desktop or Documents folder looked like an explosion went off, I am sure you would answer in the affirmative. By setting up a filing system like FileCenter, you’re able to customize the structure to fit your needs and use our powerful search capabilities to help you search for files later. When it comes to digital files, it is important to sort through your files and consider if they serve a purpose. I have multiple external hard drives that I have acquired over the years, and have used each one of them to back files up. This past fall, I realized I had up to 10 copies of everything. I began by evaluating each document and then eliminating the duplicates. Anything that was outdated, I either deleted or threw them into a folder used for archiving. In most business cases, we don’t need to look at any files that are older than three years. Consider creating an archive folder to move your older files to create less clutter. A great example is tax files. If you file by year, consider keeping the last three years in your main storage location, and archive everything else out. This will allow you to have quick and easy access to the older files if you do need them, but you won’t have to get rid of them. When we talk about archiving, don’t forget to include your emails. Document management systems can be incredibly effective for archiving old emails where they can be easily found. There are many people that would probably tell you to not be afraid to get rid of some of your files. I would probably have said the same thing 10 years ago, but with the price of digital storage at what it is today, you could keep files as long as you would like. Just be sure to back your data up to another external hard drive or offsite backup solution so if you have a computer failure, or the area you live frequently experiences natural disasters, you won’t be at a complete loss. Even though I am a digital hoarder, I keep my files incredibly organized. I can find a file within a matter of seconds because I took the time to create a structure to store them. If you classify yourself as a hoarder of digital information, you should strongly consider a filing system to keep yourself organized. 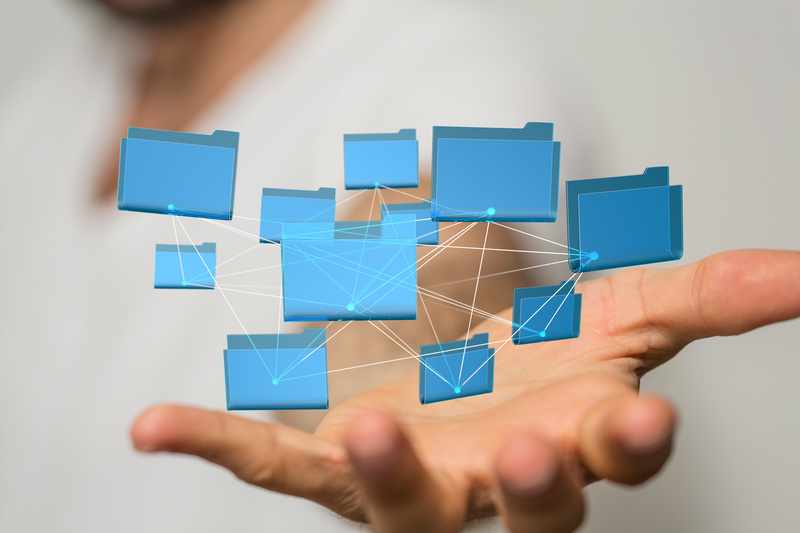 What are some of the ways you organize your digital files?